Last summer we broke the news that Engadget editor-in-chief Ryan Block would team with former editor-in-chief Peter Rojas to create a new gadget startup. Today that new startup, GDGT, launches. Gadget lovers rejoice – this is a social site where you can obsess over those tiny bundles of tech joy among others just as geeky as you. 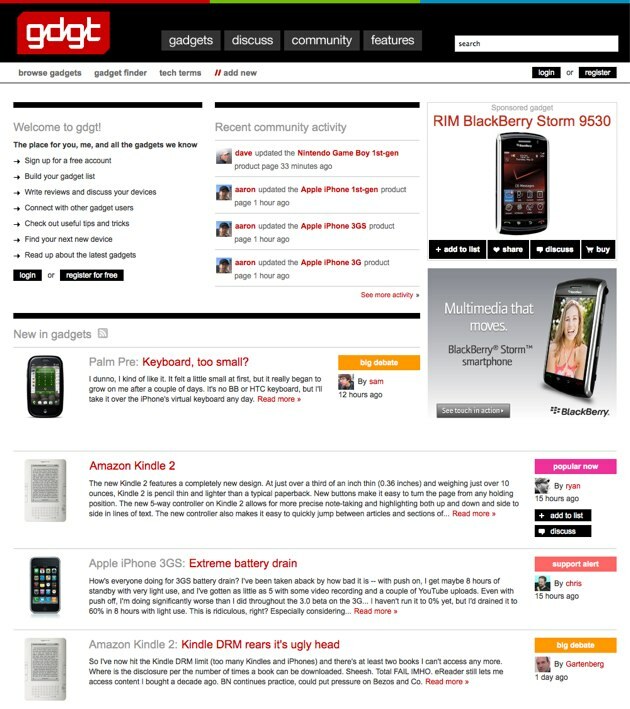 GDGT (pronounced “g-d-g-t,” but I like to just say “gadget”) is a highly structured wiki that centers on tech gadgets. Like our own Crunchbase, anyone can edit any information on the site, but everything is structured which allows for lots of slicing and dicing of the data. The site includes intensely detailed specs on each product and groups products into logical categories. 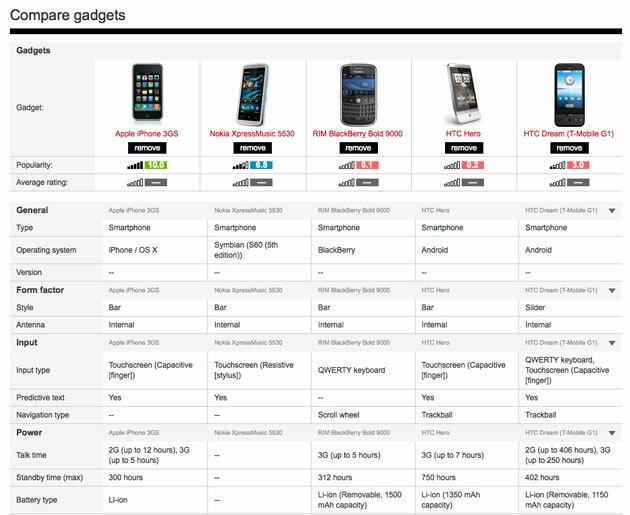 There are over a dozen categories and thousands of products in GDGT now, and users will quickly add more. All that structured data also allows for an incredibly useful Gadget finder tool as well. GDGT also has a forum feature where users can discuss relevant gadget related topics. Here’s a thread, for example, where people fretting over the decision to buy an iPhone 3Gs can use each other as a sort of support group. Each user has a profile page with their gadgets and contributions to the community. GDGT isn’t saying much about funding, although we’ve heard they raised around half a million dollars in an angel round led by True Ventures and Betaworks, plus a number of angel investors.